mis0happy Kawaii Pins, Stickers & Washi Tape - Super Cute Kawaii!! 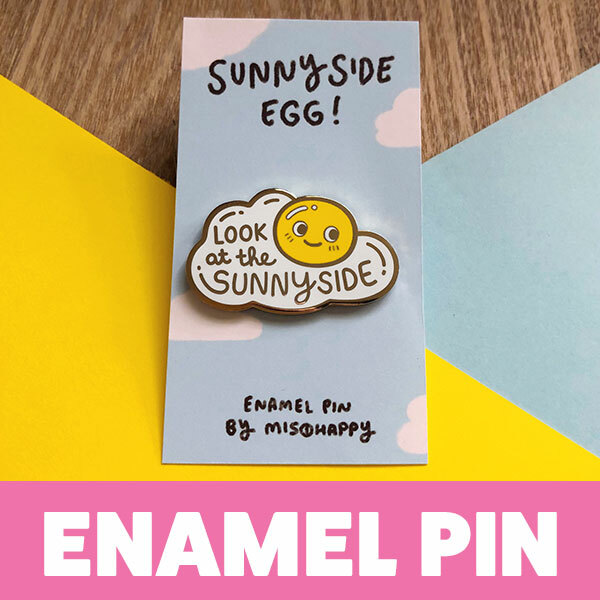 Top of my wish list is this Sunnyside Egg enamel pin. 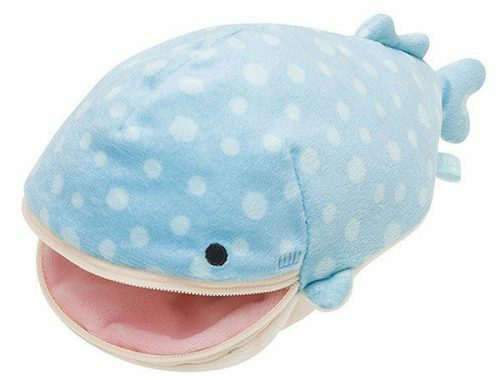 I’m all about staying positive and a happy egg would be great for an everyday reminder. 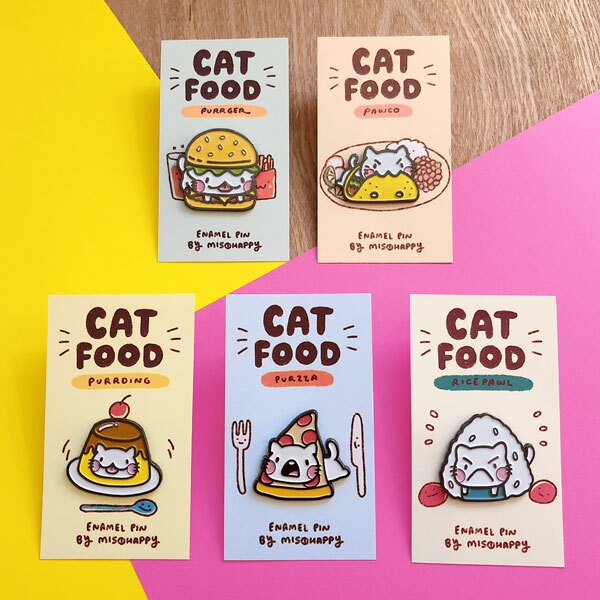 There’s loads more enamel pins to choose from though, including these amazing Cat Food designs. How can you possibly pick a favourite? 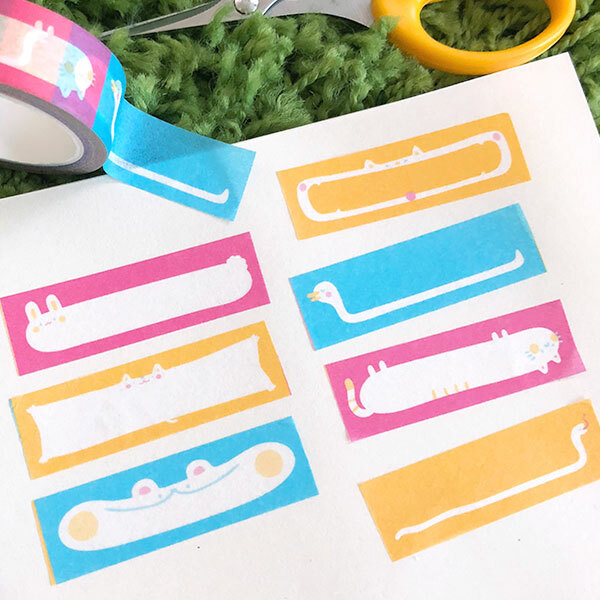 I also have my eyes on all the washi tape, especially this clever Cute Critters design that you can cut into labels for journaling and organisation. 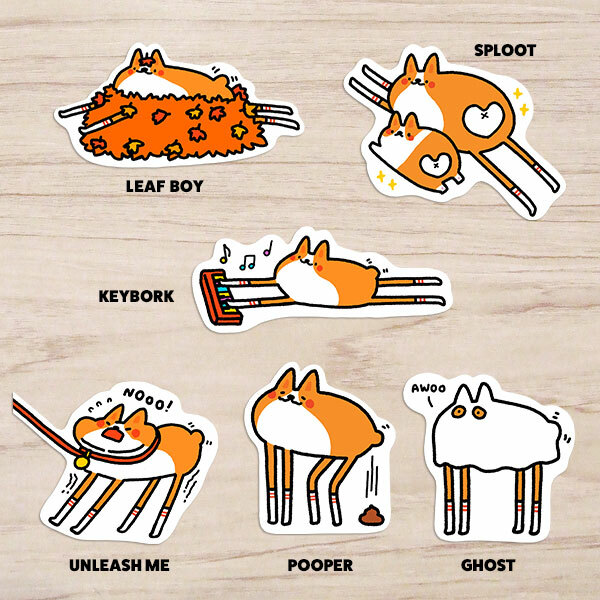 If you were following Nina’s Inktober posts, you’ll know all about Long Corgi. 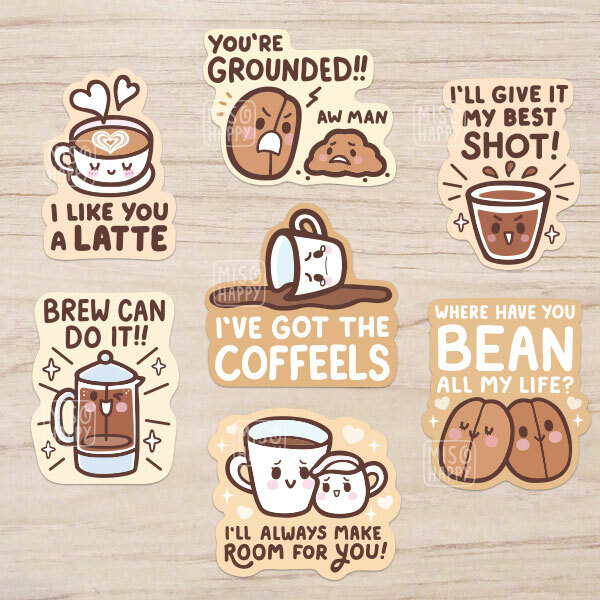 These vinyl stickers are hilarious but there’s also prints, a pin, t-shirts and washi tape. mis0happy’s food pun stickers were the first things I ever came across. They’ve had an upgrade to large die-cut stickers since then and the coffee set is especially sweet. 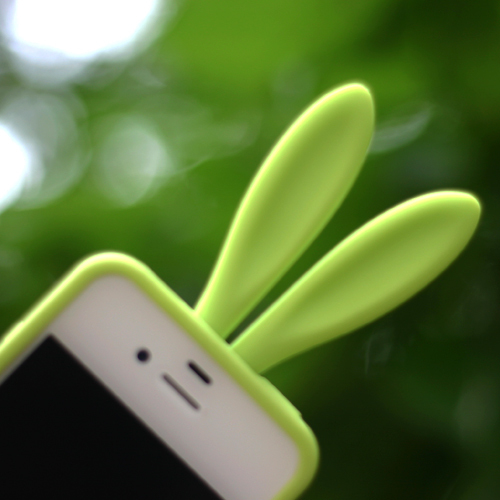 Check out the mis0happy store to see all the new stuff. 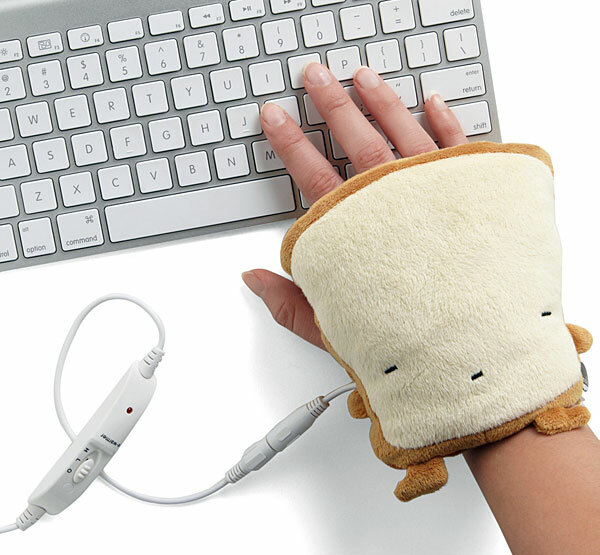 Shipping is available worldwide from the USA.